Each year jackets and shirts are purchased in bulk. The dancers are expected to wear their studio jacket for the team picture and at every competition. All Warms ups and Bags are mandatory! Please See the office ASAP to get your sizes! All company dancers are required to purchase a studio leotard, which can be purchased through the studio office. Capezio Ballet Pink and Caramel tights (Child and Adult sizes) are also available for purchase through the office. We have both footed and transition tights. If you have a prop for a solo/duo/trio, it is your responsibility to take it to and from all performances or make sure that the prop is at the studio in time to be packed. When a group uses a prop, the fee for materials & labor will be divided by the dancers & put into the costume fee. Loading and unloading of group props is done by volunteer parents. If your dancer is involved In a dance with a prop, please be prepared to help. 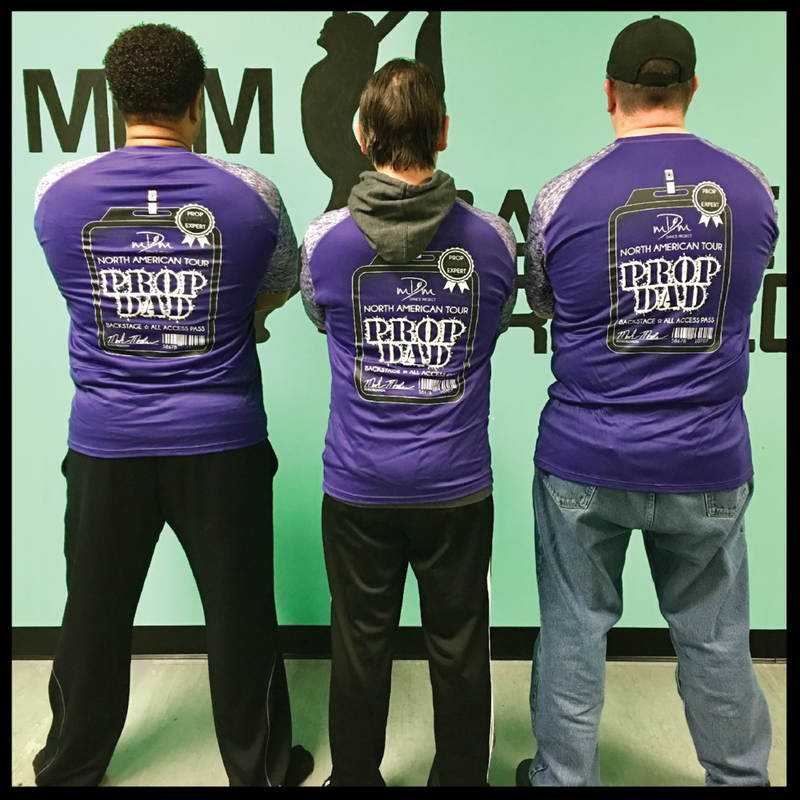 Dance Dads who are interested in becoming official "MDM Dance Project Prop Dads", should consider purchasing our brand new, ultra-cool Prop Dad shirt! Prop Dads have a variety of important responsibilities such as planning and building our company dance props, packing and unpacking props on and off the truck and moving props on and off stage during dance competitions, dress rehearsals and recitals. If you are interested in becoming an official "MDM Dance Project Prop Dad", why not look cool while you're in Prop Dad mode! The order form is located in our SHOP! section so you can purchase your very own!